To stay ahead of rapidly developing technology, training for both you and our staff is critical – and another benefit of the CSL advantage. CSL makes training an essential component of our service offering. CSL engineers are leading the way in local expertise to ensure you receive the best advice and guidance and get the most out of our products and services. With such highly technical products it is essential that you are provided with the tools and knowledge required for correct application, use and performance. Our product specialists are available for training on automation and control products, hazardous area applications, MV and LV Industrial LED lighting, Cable accessories as well as general electrical product applications such as test and measurement. 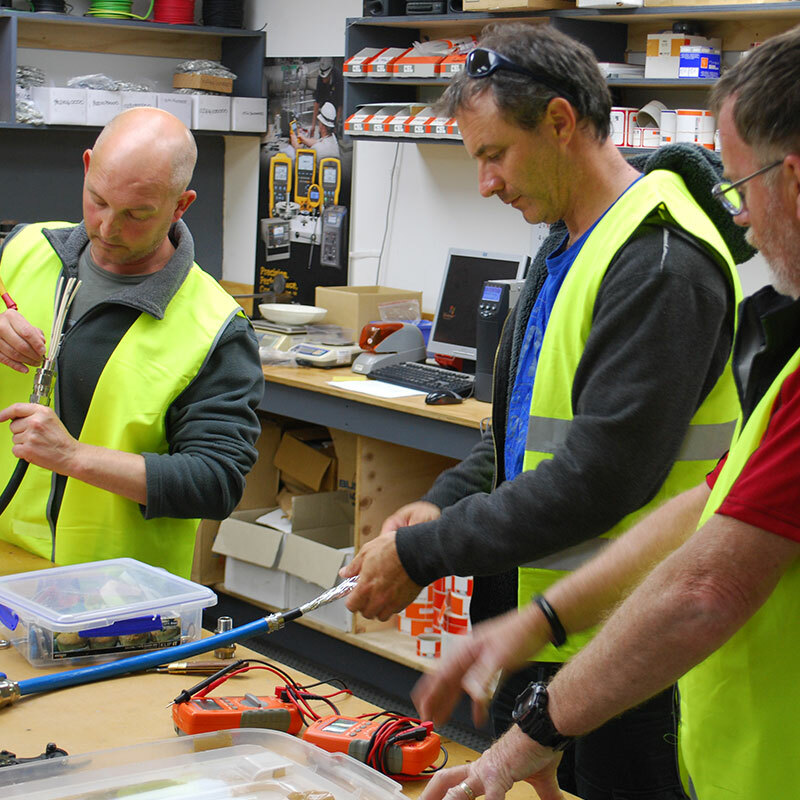 Our in-house training facility is available for individual customer training along with nationally recognised courses from providers such as the Western Institute of Technology in Taranaki (WITT). Training is also available for customers nationally at your own facility or out in the field as required. Let us know your requirements and we’ll see to it that you remain up to date with the latest innovations.